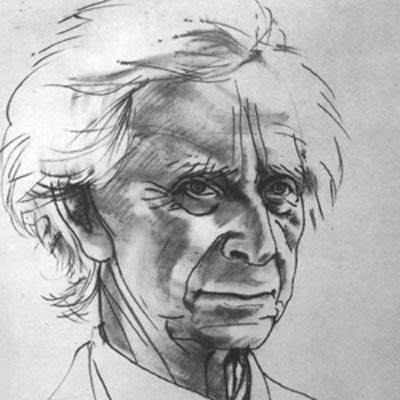 Welcome to the website of the Bertrand Russell Peace Foundation. Launched in 1963, the Foundation was established to carry forward Russell's work for peace, human rights and social justice. More than fifty years later, our work continues. The Russell Tribunal on Palestine was publicly launched at an international press conference in Brussels on 5 March 2009. Ken Coates, Chairman of the Bertrand Russell Peace Foundation, was asked to speak about previous Russell Tribunals. Video of the press conference is available online (www.russelltribunalonpalestine.com). 'The Tribunal has no clear historical precedent. The Nuremberg Tribunal, although concerned with designated war crimes, was possible because the victorious allied powers compelled the vanquished to present their leaders for trial. Inevitably the Nuremberg trials, supported as they were by State power, contained a strong element of realpolitik … our own task is more difficult … we do not represent any State power, nor can we compel the policy makers responsible for crimes against the people of Vietnam to stand accused before us. We lack force majeure. The procedures of a trial are impossible to implement. Subsequently, a second Tribunal was constituted to examine repressions in Latin America. This was initiated by Lelio Basso, and Edith Russell extended the initial invitations to those who agreed to serve in the investigations. After three sessions, a Permanent People's Tribunal was established, and this continued its work in response to popular requests from many countries. Russell had died in 1970, so that all this work had to be carried through without him. But now there were many others who sought to emulate the Vietnam enquiries, some of them in concert with participants in the original tribunals, and some of them spontaneously. Those of us who had been involved in the first phases of the Russell Tribunal could not of course direct the spontaneous initiatives which grew up in different countries of the world. Some of them concerned matters of which we strongly approved, and some of them we found slightly strange, such as the enquiry announced in Yugoslavia into the regulation of international football tournaments. A key participant in this enquiry was Professor Richard Falk, who has subsequently been appointed as the United Nations Special Rapporteur on the Situation of Human Rights in the Palestinian Territories Occupied since 1967. Professor Falk set out to visit Gaza and the West Bank in connection with his new duties, when, last December 14th, he was arrested and detained at Ben-Gurion airport by the Israeli authorities, following which he was summarily deported. 'Given the manner in which the UN operates, I will have to keep my Special Rapporteur role separate from the great work you have presided over for so long at the Russell Peace Foundation. This whole direction of civil society vigilance with respect to state crimes that are exempted from accountability due to power politics has had a great influence on my work for many years. In the present situation, there is an unprecedented willingness of the UN System to acknowledge the importance of investigating whether war crimes have been committed in Gaza, and even the Secretary General has indicated that if the evidence supports the allegations, as it surely does, then accountability should follow. At the same time I anticipate that political forces will sustain the impunity of Israeli leaders, and that no mechanism of accountability will be established.